"When you become addicted to what frees you instead of to what keeps you unhappy, your life changes." "Doing Motion Theater was one of the most transformative experiences of my life." This interview is part of the Thriving in Your Third Act Summit, a free online event here ou'll discover powerful practices and profound wisdom to ignite your life after 50! For more information, please visit thrivinginyourthirdact.com. This recording is a copyright of The Shift Network. All rights reserved. Become part of the welcoming, growing Motion community. Motion has a strong movement component, so we teach movement as part of the training. It also has a strong narrative element, so we teach what we call writing on your feet, as the narrative is spoken rather than written for the page. Combining these elements, the body as well as the voice is used for a full out form of improvised autobiographical expression. Move like you’ve never moved. Sing, growl, chant. Tell the stories only you can tell and experience a bone-deep, soul-deep liberation. Feel lighter, wiser, sweeter, and, yes, hungry for more Motion. "FABULOUS! Absolutely the best thing on the planet for grown ups — to have fun and be spontaneous and open their hearts." "One of the most transformative experiences of my life." "It was absolutely the BEST workshop of my entire life (and I'm old!!). I felt inspired to stretch myself, give myself to the process, and LIVE!" Motion Theater practices are designed to raise your spirits, inspire personal insight, deepen intimacy, create community, expand awareness, enhance self-confidence and develop presence and craft as a leader or performer. Our stories live in our bodies, in our cells, so we move from the inside out, giving voice and form to our personal characters and realities. We unwind, we engage in gentle and vigorous movement, we vocalize, we tell stories. Expect to surprise yourself, to become more playful and at ease before an audience, to enhance your use of language, and to gain greater insight and appreciation of your stories, your life, yourself and others. Motion Theater romps are a weekly drop-in class for people to play Motion style together. The least formal version of Motion Theater, these classes emphasize the fun, playful, and lighthearted aspects of the form. We promise your mood will be lifted, and you’ll leave feeling invigorated and connected (to yourself and others). This dvanced Lab meets once a week for three to six months and is intended for people who’ve already taken a Motion Theatre workshop. You’ll hone your Motion Theater skills practicing solo, duet, trio and ensemble forms with other trained improvisers. Advanced Lab culminates in a public performance. Through this expressive, transformational practice, you’ll cultivate presence, advance your artistic craft and develop your leadership and presentation skills. In this daylong workshop, experience the joy of moving, chanting, and spontaneous storytelling with your whole being, and liberating what lies hidden. Find your natural ease of expression and reside in authentic presence. All levels welcome. Gain proficiency in the core Motion Theater forms and become certified to teach beginning and intermediate levels of Motion. We’re thrilled that Motion Theater® is making its way out into the world through our widening circle of certified teachers. 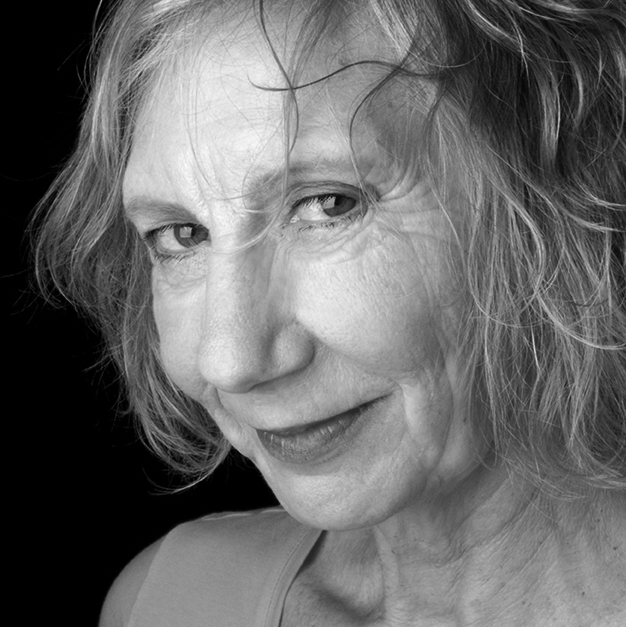 Annie first trained in Motion Theater with Nina Wise in 2000 and 2001, a period that coincided with her father's illness and death, which gave Annie particularly immediate and profound evidence of the power of this work to excavate and illuminate one's experiential life. Until moving to Brooklyn in 2004, Annie performed with Nina and assisted her in teaching Motion workshops. Now living in the hamlet of Milton in the Hudson Valley, Annie continues to teach and perform Motion Theater. She’s also co-director of Woof Nova, a Theater collective that creates ensemble-devised performance works. Motion is great for everyone—from therapists to teachers to couples to athletes, and it’s particularly great for creatives who are already practicing a form of self-expression. We offer one-on-one coaching and group workshops for actors, speakers, dancers and authors. Nina has even coached fine artists looking to break through a creative ceiling. Preparing for a book tour and want to spellbind your audience? Need a creative jumpstart? Whether your write fiction or non-fiction, Motion Theater® can help you uncover a trove of narrative material, more wholly embody your characters, paint more vivid scenes and delve more deeply into the heart of your stories. Motion Theater frees up the creative imagination, inspiring a flow of language unhampered by the censoring mind. Writers often refine material they generate in class into works they go on to publish. Motion also offers essential skills in vocal warm up, relaxation, projection and articulation, making it easier for you to imbue readings with the kind of authenticity that conveys the emotions inherent in the narrative rather than any unsettled emotions you might feel while performing. Want to embolden your work with a vital physical presence? Want to feel at home on stage? The body of the actor expresses as much as the voice, so the ability to move with ease essential to your craft as a performer. In a Motion Theater workshop, you’ll learn to feel at ease in your body, to respond to physical impulses as they arise, and to develop a strong and relaxed physical presence on stage and off. You’ll also learn how to warm up your voice, integrate language with movement, and expand your vocal range of expression. Like Jim Carey and Robin Williams, you can free the voice to express in sound what language cannot reveal—and the process is truly pleasurable. Use your voice as expressively as you use your body. Speak with clarity and authenticity. Develop narrative content that is not only interesting but also moving. Motion Theater teaches skills essential to dancers who utilize spoken word in their performances. You’ll learn how to warm up your voice, expand your range of vocal expression, integrate movement and text, project your voice and, most important, express language in a way that feels fresh, authentic and free of artifice. In a Motion Theater workshop, you’ll discover new narrative material through your body and learn to craft it in a way that is simple and direct. In a private session with Nina, you can pinpoint specific challenges and receive directorial guidance in the most effective way of integrating narrative and movement. Speak from your heart as well as your mind. Learn to relax while you’re on stage, so that your best and most authentic self can emerge. Learn to rely on what you know more than on your notes. Get help with crafting a talk that has strong beginning, middle and end and integrates stories that are moving as well as informative. Enhance your trust of spontaneity, your ability to be funny on the spot, and most important, develop a presence that will serve you from the podium to the boardroom, and just walking through life. Nina Wise is internationally renowned for her spontaneous performances that address the most relevant issues of our time. Described as a blend of Lily Tomlin, the Dalai Lama, and Jules Feiffer she is known for her quirky humor, her wisdom, and her startling physicality. 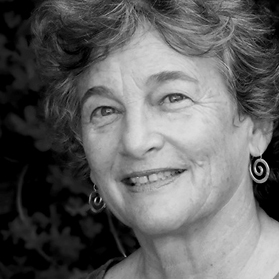 As a teacher, Nina has helped thousands discover the insights and pleasure that emerge from spontaneous self expression. As a coach, she has helped individuals break through creative barriers, self-limiting habits and facilitated teams to source their greatest creative potential. Book Nina for a custom-designed performance for your theater or event and a workshop for your staff, your friends and colleagues, your community – or yourself. "Nina is an empowering, joyful, and celebratory guide to a fuller life. Creativity is enhanced when we learn to play, dare to break the rules. Nina teaches us to expand our senses and to connect body and soul while having fun." Nina Wise’s What Just Happened is an improvisational performance based on personal and political events which have transpired over the previous twenty-four hours. What Just Happened played at The Marsh Theater in San Francisco and Berkeley in 2009 and 2010, and was met with sold-out shows, standing ovations and great reviews. Since then she has performed at venues inNew York, Los Angeles, San Francisco, Big Sur, Marin County and more to audiences who are consistently moved by the immediacy, humor and depth of the work. "Nina Wise joins great talent with spiritual understanding. No one else I know so intimately joins the sublime and the absurd, surface and depth, the high and the low. Her range is enormous." Nina Wise performs at the Marin Veterans Auditorium, November 2015. Need conference and event entertainment that is inspirational, intelligent, and funny? Want uplifting and comic entertainment that also engages meaningfully with the core themes of your event? Book Nina Wise for custom-crafted entertainment, melding scripted performance with improvised content. Nina creates an elevating show that integrates intellectual information with heartfelt stories providing attendees an unforgettable experience. Performances are customized to fit your time slots, from 15 to 60 minutes. "Sometimes an artist comes along and you say to yourself, “I am so lucky to be alive to witness this moment." Need your team to work together with more trust and ease, so their self-censoring mechanisms fall away and their creativity thrives? Know that taking the risk to make mistakes and look foolish allows your team members to express their innermost brilliance? Nina Wise offers team building workshops in improvisation and self-expression that guide participants to relax, engage and play. Creativity explodes. Team bonds solidify. Work becomes more fun. Workshops range from 2 hours to a multi-day series. Want to develop presence, clarity, and the ability to tell stories that move your audience to laughter and tears as you inspire and educate? Need to reduce on- the-job stress so that you feel refreshed, renewed, rejuvenated at work? Want to develop spontaneity and access your deepest intelligence? Coaching sessions with Nina Wise will help you relax into your natural ease. You will find that you think more clearly, have more fun, attract the trust and respect of others. As you learn to tell moving and funny stories about your own life, you will inspire others as well as teach them about the principles dearest to your heart. "Nina is a terrific teacher, encouraging, challenging. She helped me work through a lifelong problem." 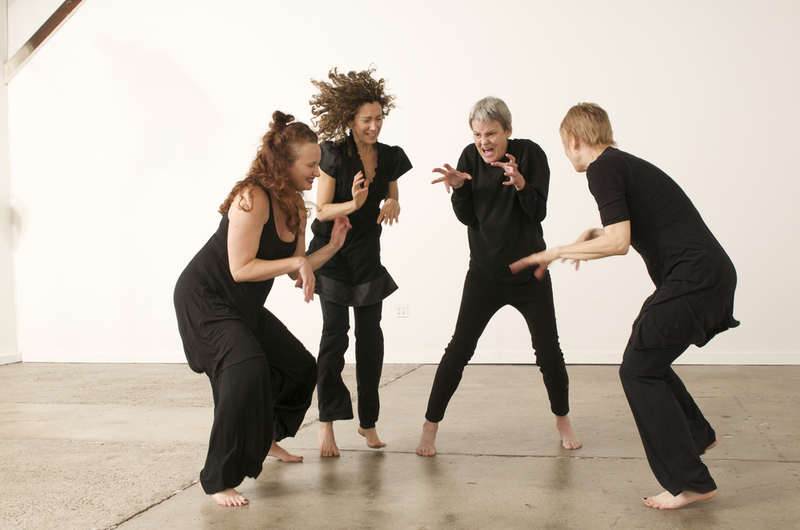 Wise’s original performance works have been produced in prestigious venues in the US, South America, Europe and Asia and have won awards for playwriting, innovative design, and new theater including three NEA fellowships and seven Bay Area Theater Critics Awards. She is the author of A Big New Free Happy Unusual Life and her stories and articles have been published in numerous anthologies and journals. Her immersive theater piece The Kepler Story, created for planetarium domes, played to sold out crowds at California Academy of Sciences Morrison Planetarium and is the first theater piece ever created about an astronomer designed for planetariums. As an artist and teacher who specializes in innovation, she has coached numerous individuals and teams in creativity, stress reduction, communication and leadership.